When you hire movers, you are trusting them to treat your belongings with care. In many cases, you may not even meet the people that are moving your stuff until the day of the move. One way to show your appreciation for all their hard work is to tip your movers. 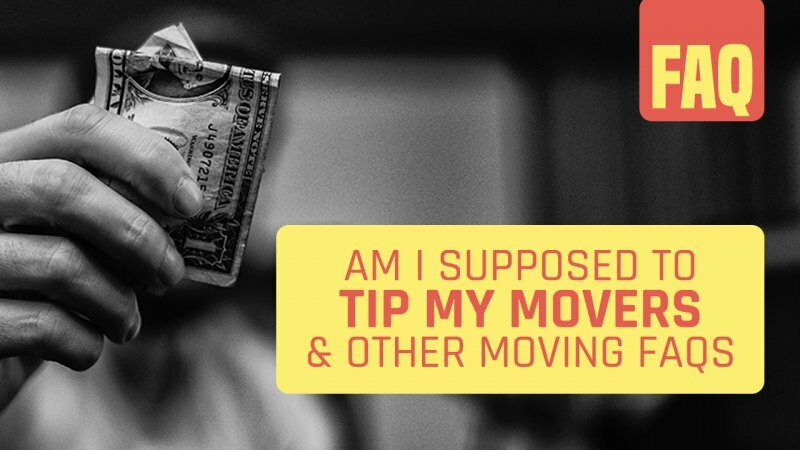 How Much Do You Tip Your Movers? While movers are typically considered part of the service industry, their job requires a lot more work than someone serving you at a restaurant. If a server gets your order wrong, they can quickly get it fixed. If a mover drops one of your belongings or does not properly pack a box, the stakes are a lot higher. Your movers work hard for you; you can reward that hard work with a tip. As a general rule of thumb, people in the service industry are tipped based on how well they perform their job functions. The same rule applies when tipping your movers. 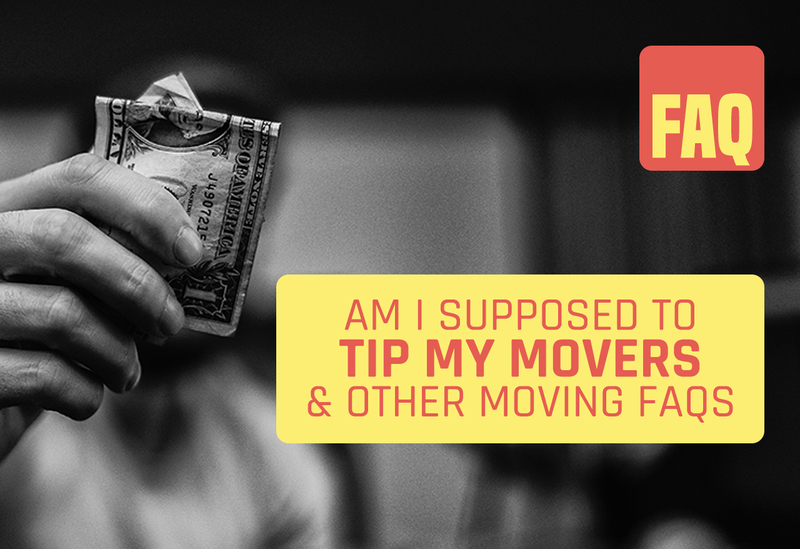 If a mover arrives with a poor attitude or poor work ethic, they may not be worthy of a tip. On the other hand, if your movers were professional and did their job well, you should tip them according to what you feel is fair. In most cases, movers do not expect a tip and appreciate any amount given. Your tip symbolizes to them that you are grateful of their hard work and think they are worthy of a reward. Keep in mind that even if you have already paid a large sum to the moving company, the actual movers usually get a very small portion of that. Local moves (in-town): Tip around 10% of the total bill. If you paid $1000 for moving services, give the movers $100 in tips to split. Larger & Long–Distance Moves: If you have a large home or are moving a long distance, consider tipping more like 15-20% of the total bill. Alternatively, hand each mover between $50-$100. If you have winding stairs or lots of heavy furniture and appliances, you may want to consider adjusting the amount accordingly. Have bottled water, sports drinks or other soft drinks on hand to keep your moving crew hydrated. Instead of tipping their moving crew, some people prefer to buy them lunch. Other people opt to do both, buy them lunch and give a tip. If you opt to buy them lunch, make sure you ask what foods they like to eat. Movers work hard for you to pack up your belongings and transport them to your new home. Whether your movers are from local moving companies or large national chains, you can express some gratitude by rewarding your movers with a tip. These simple guidelines can help you determine how much to tip and how to keep your movers happy.